50pcs/100pcs/300pcs/500pcs/1000pcs per bag with label,carton size:50*50*50mm;50*50*30mm;40*40*30mm;30*30*20mm or customized. 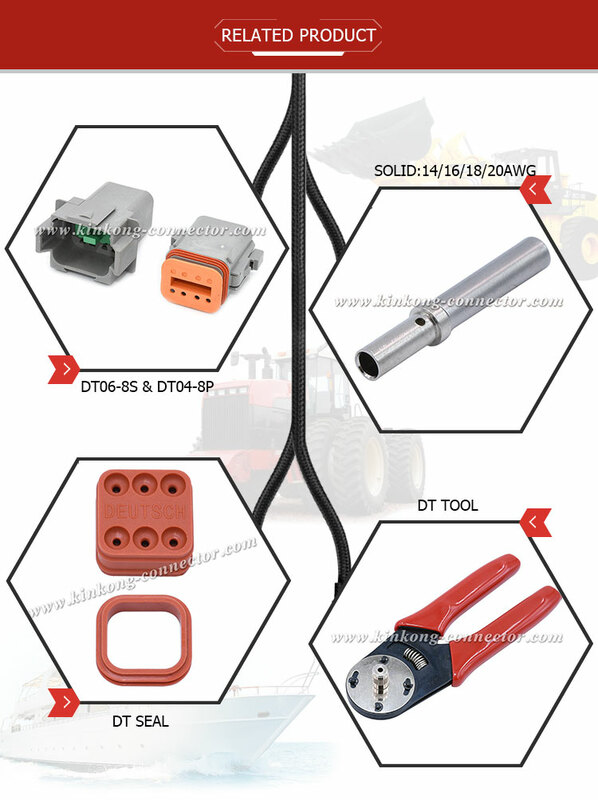 DT Series connectors offer field proven reliability and rugged quality. The DT design strengths include optional flange mounting, multi-pin arrangements, lower cost, and design flexibility. The DT Series offers the designer the ability to use multiple size 16 contacts, each with 13 amp continuous capacity, within a single shell. If you are interesting in any products,send E-mail of the specifications or item number or picture to us so we can give you our best resolves. 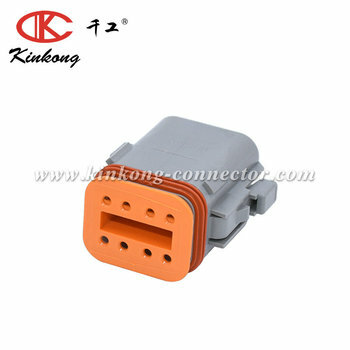 Yueqing Kinkong Electric Co., Ltd. is a full service manufacturing company dedicated to offering auto connectors,wiring harnesses,terminals blocks and other accessories in aftermarket automotive industry.We produce several series products for you choose,if you are interesting in any products,send E-mail of the specifications or item number or picture to us so we can give you our best resolves. 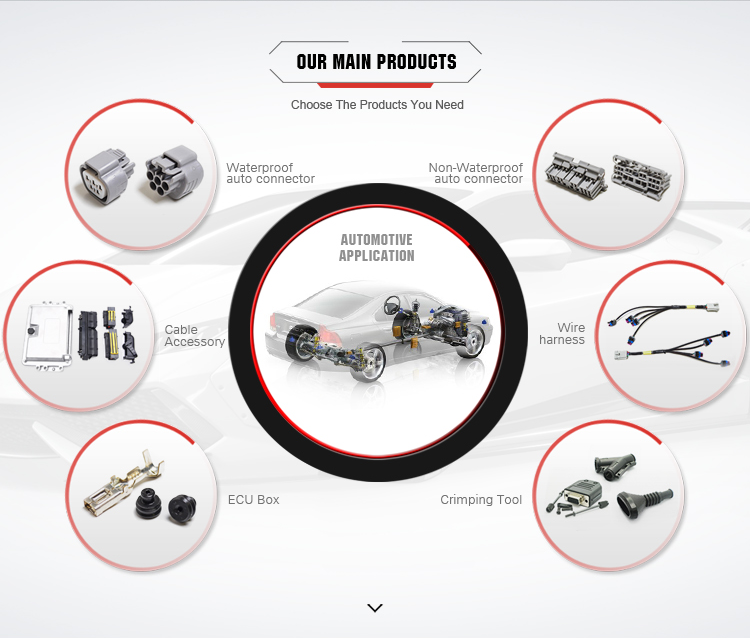 Yueqing Kinkong Electric Co., Ltd. is specailized in aftermarket automotive industry. 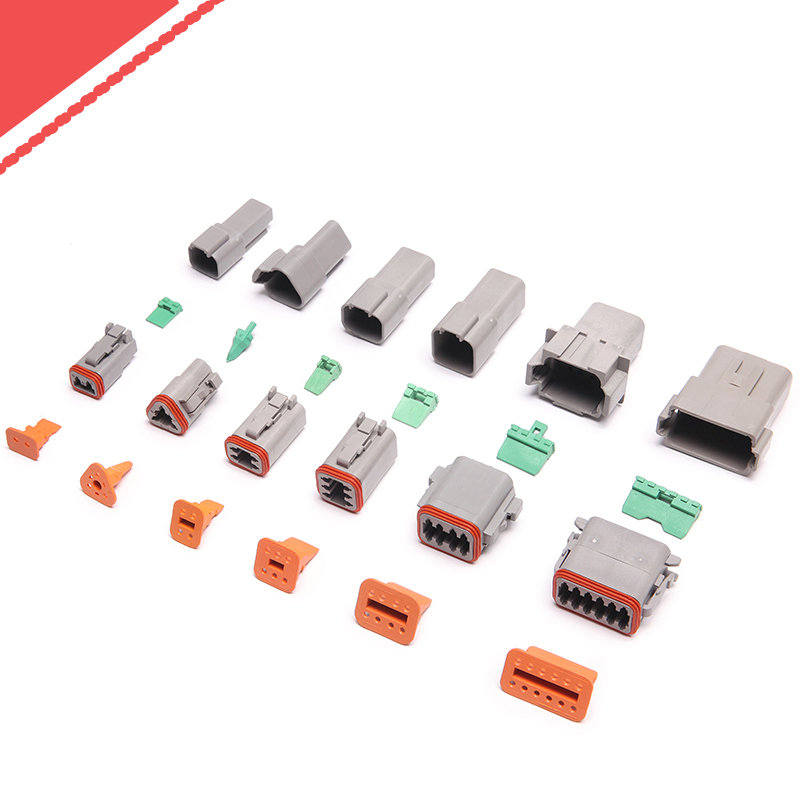 With know-how, expertise, and rich experience, we are on the way to do better and better.There are more than 8,000 different connectors available in our company,including manycustomized ones. We have means and materials to create and produce wiring solutions (separate parts not to mention) for both domestic and overseas customers. During the years of business practice, customers' satisfaction is our top priority. 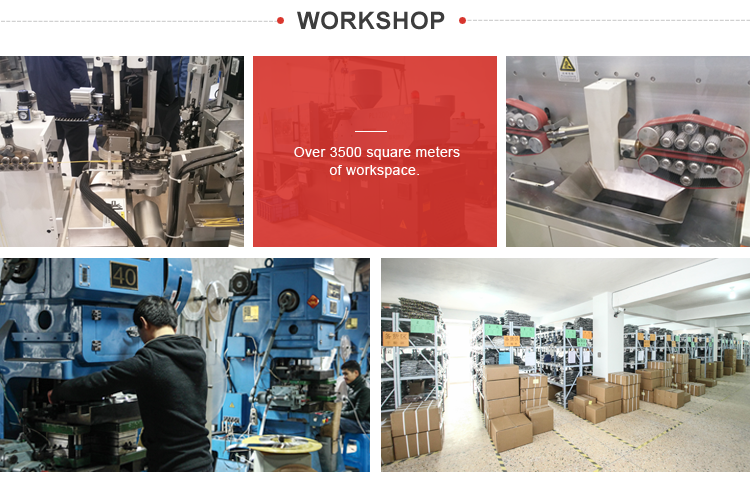 Our task is to offer qualified products and good services to all customers.Kinkong would greatly appreciate the chance to convince you of our quality, ability and potential. 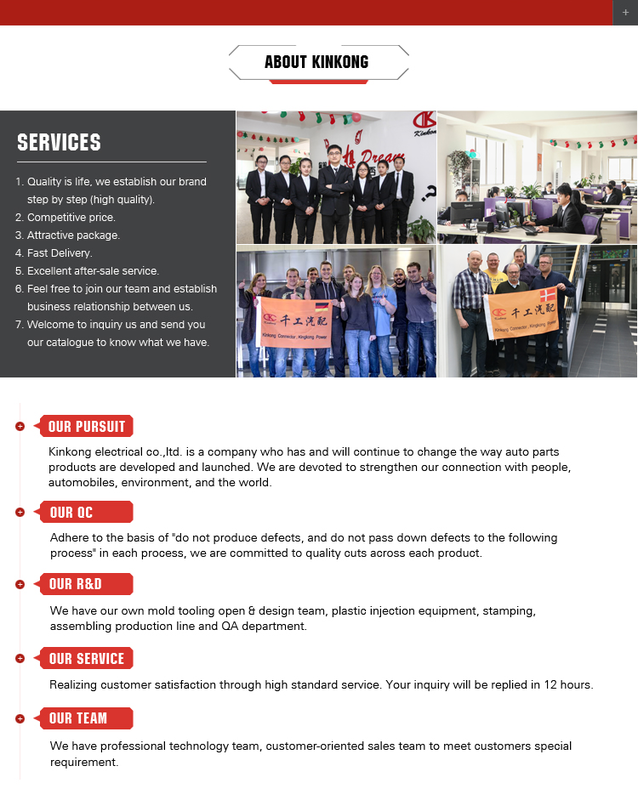 Kinkong Electric Co., Ltd. With a better organized, high efficiency and the most reliable engineer team and state-of-the-art technology, we are able to design and develop high-quality components, and customized solutions. A: Yes , We have product catalogue . Please contact us on line or send an Email to sending the catalogue. want to check any price of our products, please feel free to contact us.We will send offer to you soon ! 3. Q: I can't find the product on your catalogue, can you make this product for me? it . For your reference, making a ordinary mould will take about 35-45days. And we made many moulds for our customers already . problem . Just have to point out that ,it will cause some additional cost. A: Yes , we can provide samples. 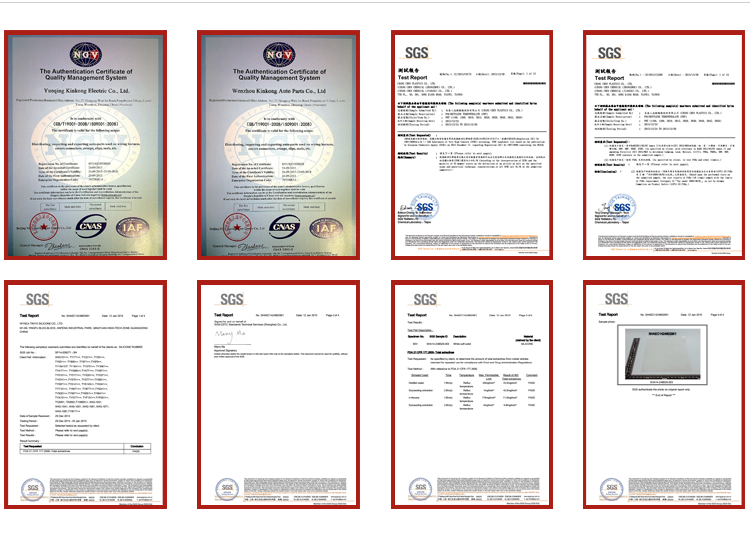 Normally, we provide 1-3pcs free samples for test or quality checking . we will charge for the samples. same amount of the Invoice. And you can pay money In RMB. No problem. A: We have a lot of products in stock . We can send the stock products in 3 work days. If without stock , or stock is not enough, we will check the delivery time with you. 8. Q : How to ship my order ? Is it safe? Door to Door service . the safety.We will be responsible to any product damage caused on delivery. 9. Q: Do youu have a guarantee of your product quality? A: We have a guarantee of one year. 10. Q: Can I become an Agent / Dealer of KINKONG products? talk about this. If you want any other kind of cooperation, do not hesitate to contact us. Over rich OEM experience,we can provide professional solutions for customers. Click "Send "get the Latest quotation Now!!! You can get the FREE SAMPLES soon. Yueqing Kinkong Electric Co., Ltd.